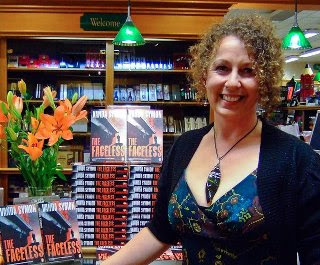 Click on the image above (or here) to listen to a 13-minute long audio interview with acclaimed Dunedin crime writer Vanda Symon - the "Queen of contemporary New Zealand crime" - broadcast recently on Plains FM as part of its Women on Air programme, highlighting excellent female writers. Symon talks about her latest book, standalone thriller THE FACELESS, amongst other things. Tres cool, Craig - Thanks for sharing!